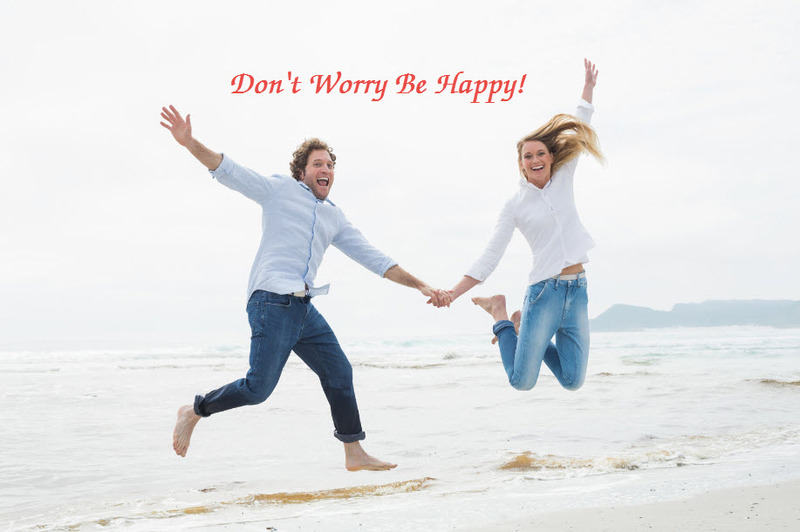 “Don’t worry, be happy.” These words of wisdom are applicable to immune health too. Research shows people with positive expectations and an optimistic outlook have a lower risk for certain health problems, including heart disease. In addition, they’re more likely to have a favorable outcome when confronted with illness, including certain types of infection. One factor that plays a role in recovery from illness, particularly infections, is a healthy immune response. Can having a positive mindset actually affect the activity of immune cells? A number of studies show a link between stress and reduced immune function. One study involving a group of medical students preparing for exams showed the rather dramatic effect even short-term stress has on the immune system. During the time leading up to a 3-day exam period when the students were to be tested to see how much they had learned, students showed a significant decrease in cells called natural killer cells as well as a drop in T-cell activity. T cells are immune cells that fight infection. Not having enough T cell activity makes your body less capable of fighting off viruses and reduces protection against tumor cells. Simply feeling down or lonely seems to impact immune function. In older folks, feeling lonely, isolated or depressed is linked with reduced T-cell response to infection. Other studies show feelings of loneliness and depression are correlated with a reduced response to vaccines as well. Based on these studies, it’s possible that stress and negative feelings dampen the immune response, making the immune cells we depend on for protection more sluggish and less capable of doing their job. Interestingly, several studies show a period of acute stress initially ramps up the body’s immune response, causing it to “wake it up,” but this response is short-lived. Once the stressful circumstance persists beyond a few days, the immune response weakens below baseline. What does all of this mean? We live in a hectic, fast-paced world. Being perpetually busy and always exhausted is almost a badge of honor. It shows you’re being productive, working toward multiple goals and multi-tasking while you’re at it. At the same time, all that hustle and bustle can lead to a state of chronic mental and physical stress. Ever notice how a cold seems to strike when you’re the most stressed out? It’s not your imagination. A study published in the New England Journal of Medicine showed a strong link between psychological stress and an increased risk for respiratory infections. Emotional stress is also linked with another pesky infection caused by a virus, cold sores. Are you a glass half full kind of person? That’s a good thing! You may have a more responsive immune system as a result. A study carried out on first-year law students showed those who were optimistic about their chances of success had greater numbers of infection-fighting T-cells and more natural killer cell activity. In some yet unknown way, a person’s psychological state and mood seems to alter immune function, and in turn, the risk of illness. Unfortunately, we can’t entirely avoid stress, no matter how hard we try. It’s a fact of life. What you can do is find ways to better manage it, through physical exercise, meditation or mind-body exercises. Just as importantly, keep your immune system healthy with good nutrition and supplements. Your immune system is your first line of defense against everything – viruses, bacteria and tumor cells that want to “gain a foothold” and make you sick. Be sure you give your hardworking immune system the protection it needs, by taking BioPro-Plus™, the Ultimate Immune Supplement daily! Get Yours Here! N Engl J Med. 1991 Aug 29;325(9):606-12. Journal of Personality and Social Psychology. 1998. Vol. 74. No. 6 1646-1655.